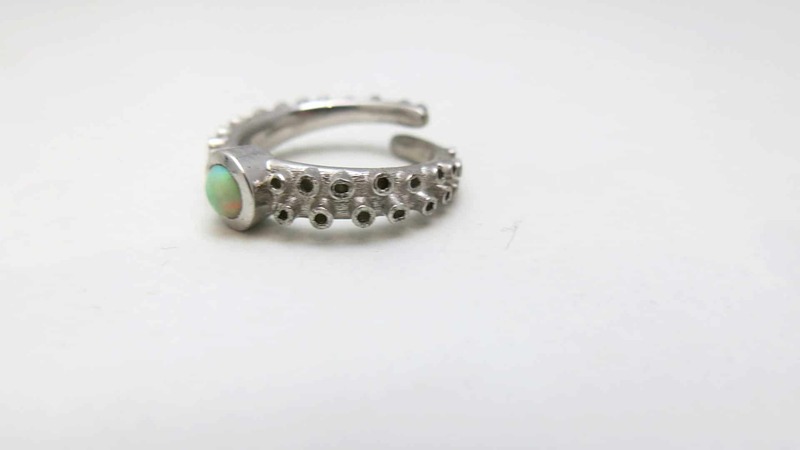 This Cabochon Octopus Engagement Ring can be made with both a bezel set cabochon center stone or a prongs set, faceted stone. Any size or type of center stone from 4-8mm can be used. The suckers are hand finished after casting to give them an organic look. 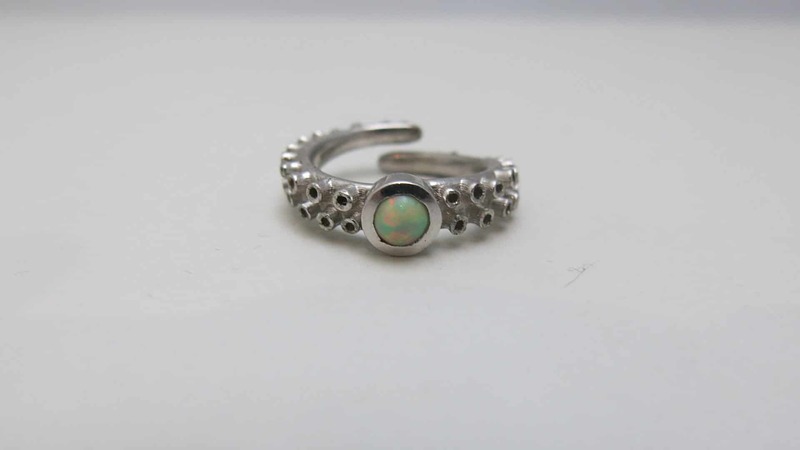 If the Cabochon Octopus Engagement Ring is cast in Sterling silver, the base of the ring can be oxidized, giving it a black patina on the base. Click HERE to to learn about custom jewelry design or contact us with your own idea. 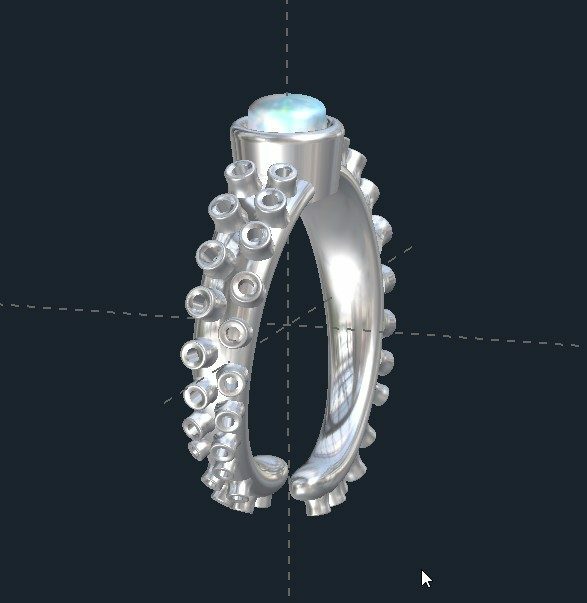 It is easier than you think to have your own Cabochon Octopus Engagement Ring made just for you and can also cost less than at the mall stores…if you can even find one.